I’m getting back into reviews, and I’m so excited to share this blush palette with you! I just purchased this during the VIB 20% off sale, and I haven’t used any other blushes or bronzers since. The palette retails for $42, and you get 4 blushes and a bronzer, as well as a cute cuff bracelet. I was so excited to see this palette when it came out because I love Tarte’s Amazonian Clay blushes and I’ve been wanting to try more shades. They’re super blendable, pigmented, and long-lasting. I didn’t think I would like the glittery packaging, but it’s really more of a shiny woven fabric, so you don’t have to worry about glitter falling off of it while you use it. The palette is really thin and light, so you also don’t have to worry about your arm getting sore while you use it, either. It has a magnetic closure, which makes me feel a lot safer throwing it into a makeup bag or in my purse. I travel a lot, so I get really excited by thin and sturdy palettes. Inside, there’s a big mirror and, of course, the product. The blushes are a great size for a palette, 4.5 g each (almost full-sized products!). I haven’t had a problem with my brush picking up more than one color accidentally, which is a good sign about the size and shape of the pans. Like I said before, you get four blushes and one bronzer. The colors are called (left to right) Crave, Dazzled, Darling, Dollface, and Park Avenue Princess (the bronzer). Crave is a bright reddish-pink. It’s a great color for a “just got in from the cold” look. It will still look great when the warmer weather comes back, too, for a bright flush of color. Dazzled is a mauve-berry. It has a little shimmer in the pan, but I don’t notice a distinct difference in the finish with it. It’s a great neutral blush! Darling is a fair peach color. It’s the most sheer of the bunch, so it may need to be built up, or you can mix it with another shade for a stronger look. I’ve been using it on its own, and I think it’s the most natural of the bunch for my skin tone. Dollface is a classic bright pink. It seems to be on the warmer side, which suits me better. I think this is the shade I’ve used the least, but I know I’ll get more use out of it in the warmer months. Park Avenue Princess is a matte medium brown. It doesn’t look orange at all and gives a nice subtle shadow when I’ve used it as a contour. It could also be a really nice subtle crease color on the lids, I think, but I have yet to try that. I’m sure you can tell by now that I absolutely love this palette! I really like that while it’s a holiday palette, you still get blush colors that you can use year-round. 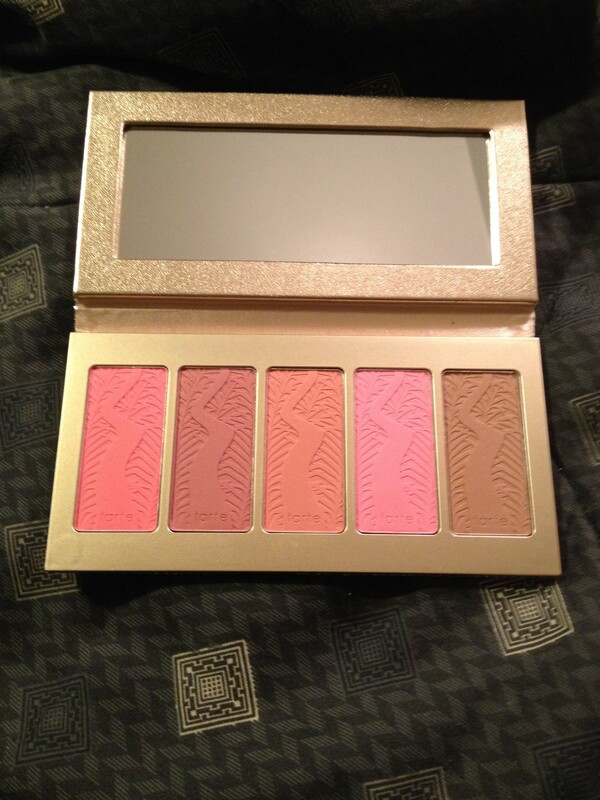 I also love that it comes with a bronzer, so all I need is this palette when I’m traveling. I’ll definitely be bringing this home for winter break to save room in my bags! The formula of these seems to be just as great as the full-sized products, but I think my Tarte blush in Flush lasts a bit longer (probably because it’s SO dark). I definitely recommend this as a holiday gift or just a nice investment for your makeup stash! This would be a great palette for beginners, too, because it has such a good variety of colors. I hope you can still get your hands on it – it seems to be currently out of stock on Sephora’s website, so I’d check in-store. Which holiday sets do you have your eye on this season? I wanted to pick this palette up, but I ended up putting it off. Great review! 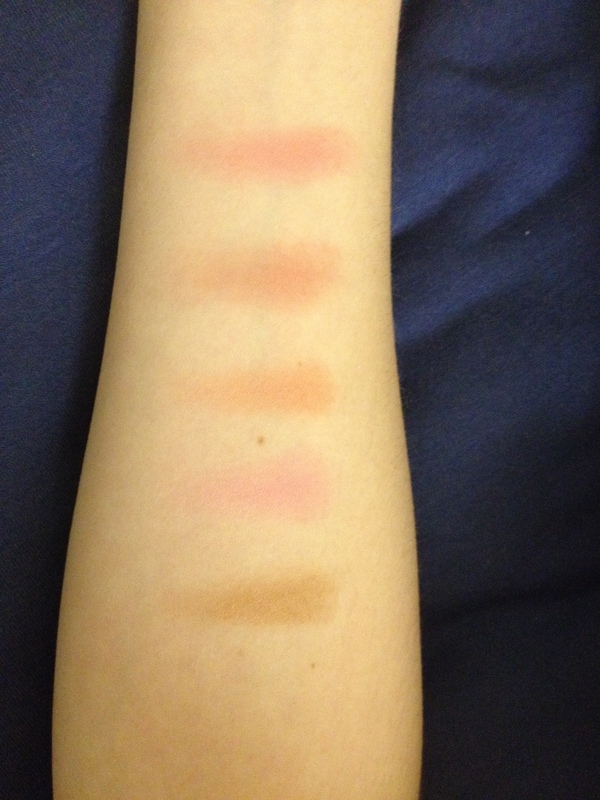 The blushes do look beautiful and the palette is a great size for the price. Wow! Nice palette! All the shades seem to look like they would be suitable for any skin shade. Love that there are both blushers and bronzers. Yes, I think they would all look lovely on anyone. Only Darling might not be as strong on darker skin tones. Having the bronzer in the palette makes a world of difference. That’s what really sold it to me!